Agendas have been proven to create successful and fail-safe meetings. That is why business organizations, big or small, always develop agenda to make their meetings, undertakings and plans effective and successful. Same for nonprofit organizations, the also develop a nonprofit agenda to make their annual and quarterly meetings effective, efficient, and goal-oriented. Agenda writing can have a big impact on a nonprofit organization. It helps them to develop an effective mission statement and to seek implementation plan for their goals. 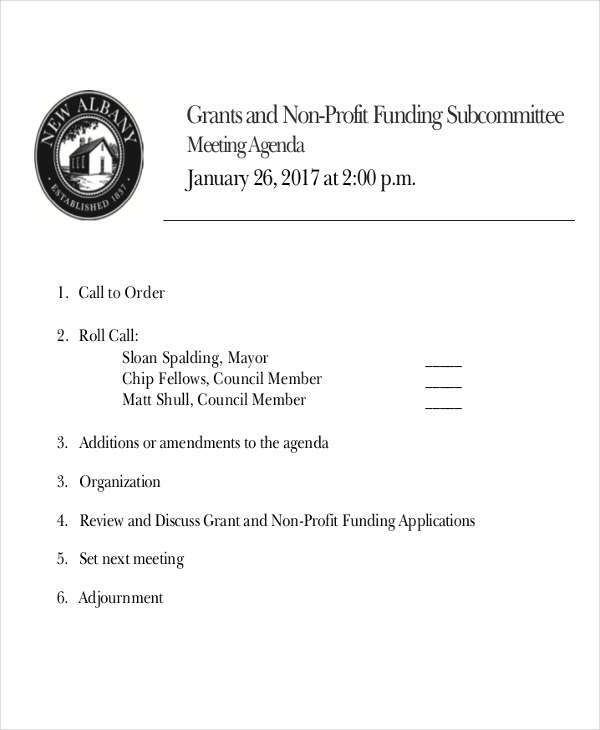 Nonprofit agenda also determines what type of activities will take place in the actual meeting. What Is a Nonprofit Agenda? 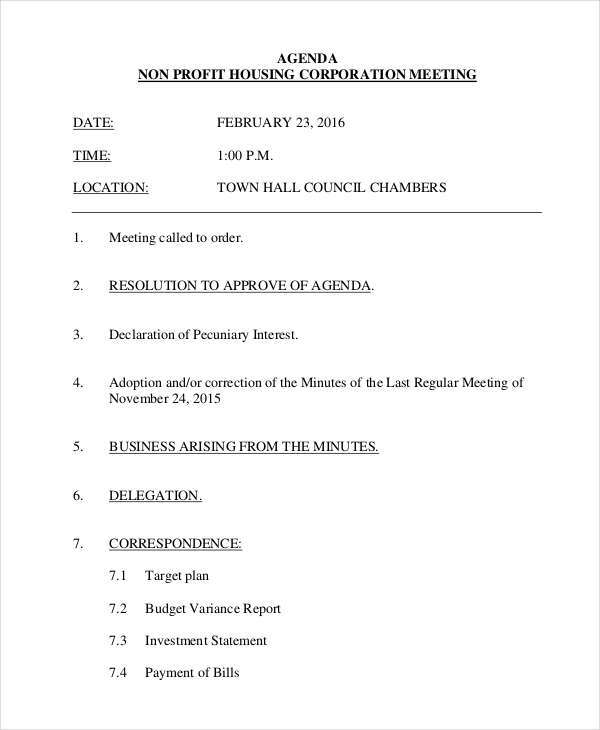 A nonprofit agenda is a list of scheduled plans for a nonprofit organization meeting. These schedules are arranged according to the organization’s goals and objectives of the meeting. The nonprofit agenda is often used to help the director and board members keep track of what they are hoping to accomplish. Also, the purpose of this agenda is to review the previous meeting agenda beforehand. A successful nonprofit meeting agenda needs an effective planning guide. This planning guide is for quarterly nonprofit meetings. Budget presentation and annual goals. 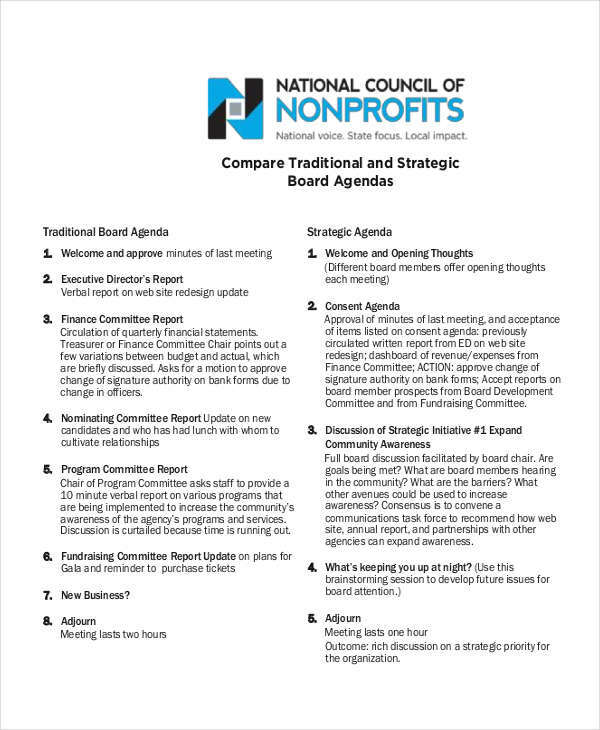 You can download and use our free agenda in Excel here to plan your next nonprofit board meeting. 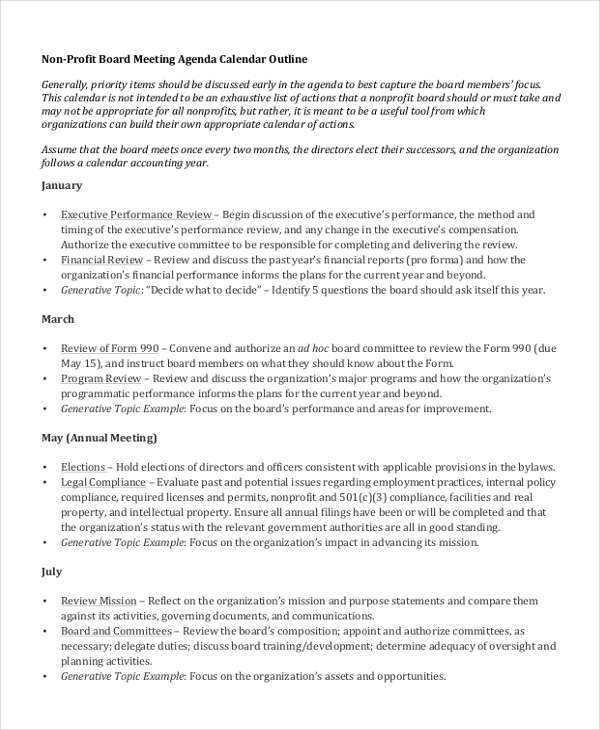 How to Run Initial Nonprofit Board Meeting? 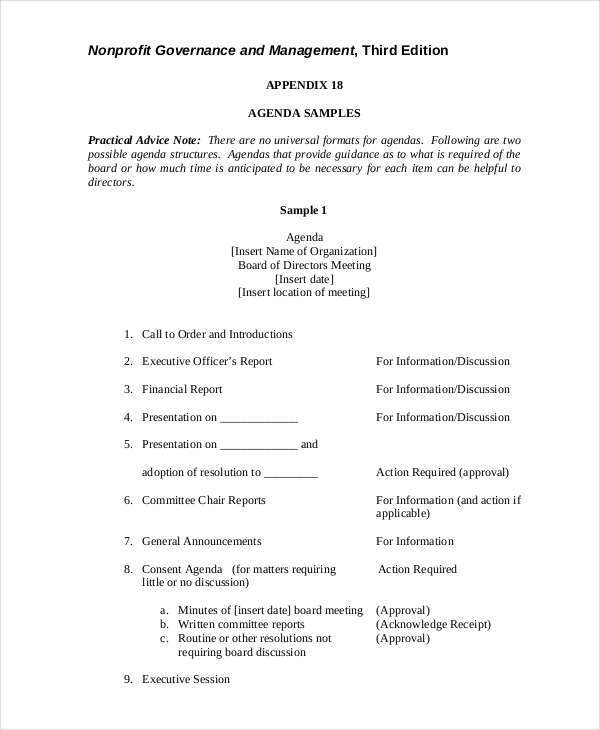 Running an initial nonprofit board meeting agenda can be quite difficult for the directors. However, there are guidelines to a successful nonprofit board meeting. Develop an agenda that relates to the goal of your meeting. Inform in advance the people involved. Leave intervals between agenda, so board members can take down notes. Set up a professional meeting place. Begin the meeting by recalling the minutes of the previous business meeting agenda. Ask for updates from the board meeting. Ask if there are reports prepared by the board members. Address possible ideas for next meeting. Keep these in mind the do’s and don’ts to your next nonprofit board meeting. Set the materials needed in advance. Introduce everyone to each other or provide nameplates. Have an extra copy of meeting materials. 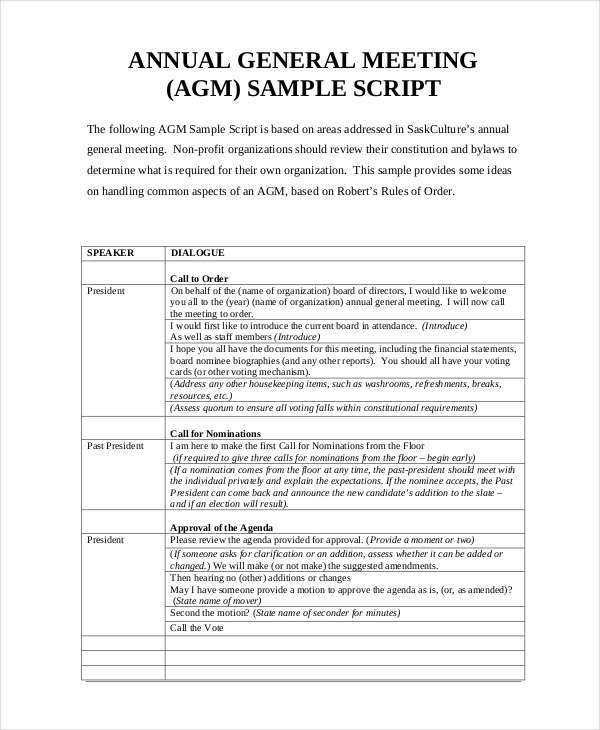 Follow the meeting agenda example or templates provided by the company. Allow the CEO to lecture the board. Let the board member report, one after another. Fail to present financial statement. 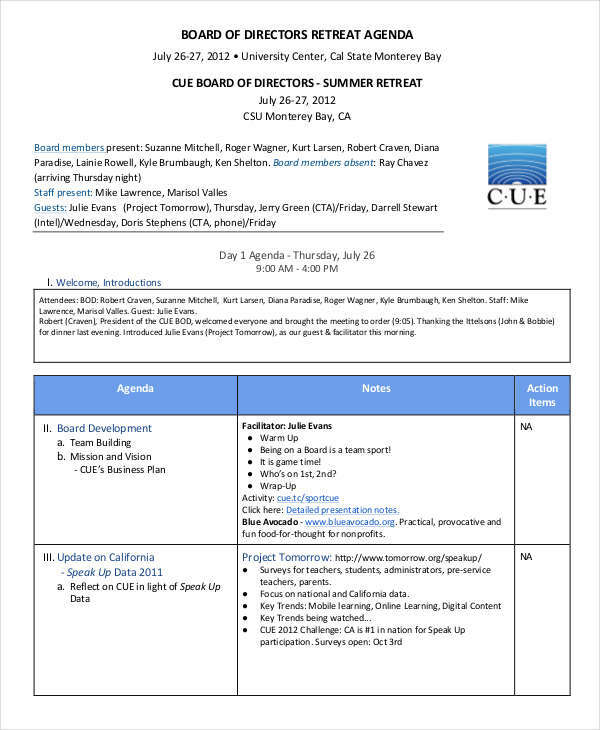 Allow the board members to chat about irrelevant matters. Allow board members to hijack meetings.